We specialise in the sourcing, supply and shipping of top quality tools and equipment to the Marine, Automotive and Aviation industries. Our range of fully imported imperial and metric hand tools are specifically selected to meet your specialist needs. 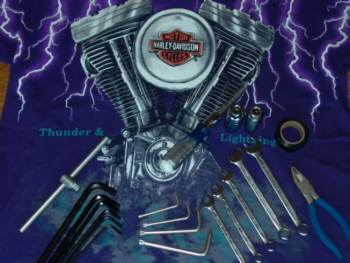 So if you are looking for a few spanners to tinker with on your Hotrod, or a custom made toolbox complete with individual tool cut-outs for your classic American beauty, email or phone us with your requirements. If you don’t see what you need here, contact us and we will get it for you! 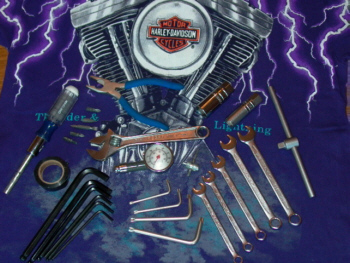 This essential 30 piece toolkit for American V Twin motorbikes has been specifically collated to provide V Twin bike owners with all the necessary hand tools in a compact, lightweight travelling bag. Craftsman Sockets Thin-Wall construction gives access to hard-to-reach areas without loss of socket strength. Craftsman Pliers and Cutters are constructed of forged, high carbon steel. Induction hardened cutting edges give you a sure, clean cut. 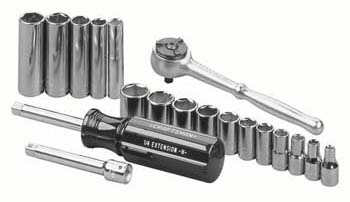 Socket wrench set, air impact socket, combination wrench, open end wrench, screw drivers & pliers. � 2005 Toolnet. All Rights Reserved.